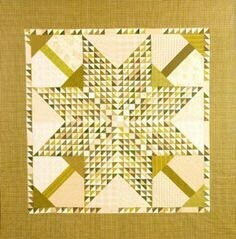 Great quilt pattern book called Under The Stars created by Cherie Ralston. 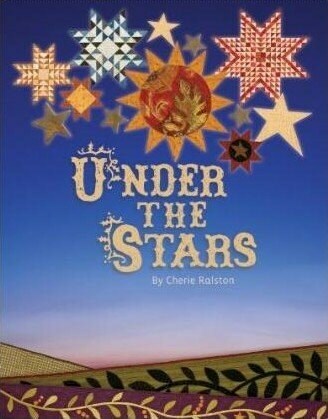 It looks as though Cherie Ralston reached into a Kansas summer’s night sky, brought down a handful of stars and tossed them onto her quilts. 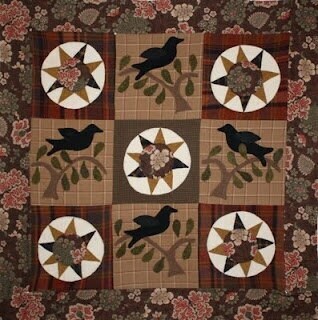 These warm and comfy star quilts are softened with touches of nature and brilliantly easy to make. 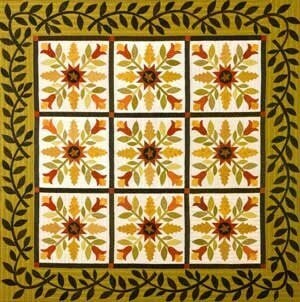 Cherie brings you seven heavenly quilts for every season and mood. 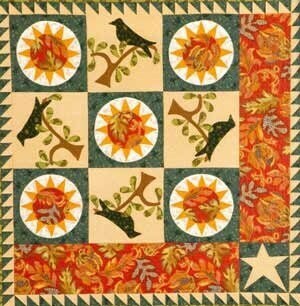 Appliquéd borders of leaves and berries soften the edges of the pieced stars. While away an evening making one of the four small projects for a cherished friend or family member.